One of Collabforge’s offerings are developed approaches to scaling collaboration to help participants reach deliberate outcomes. In our most recent effort, Hailey Cooperrider and Rebecca Dahl co-created a workshop with Low Carbon Living CRC. 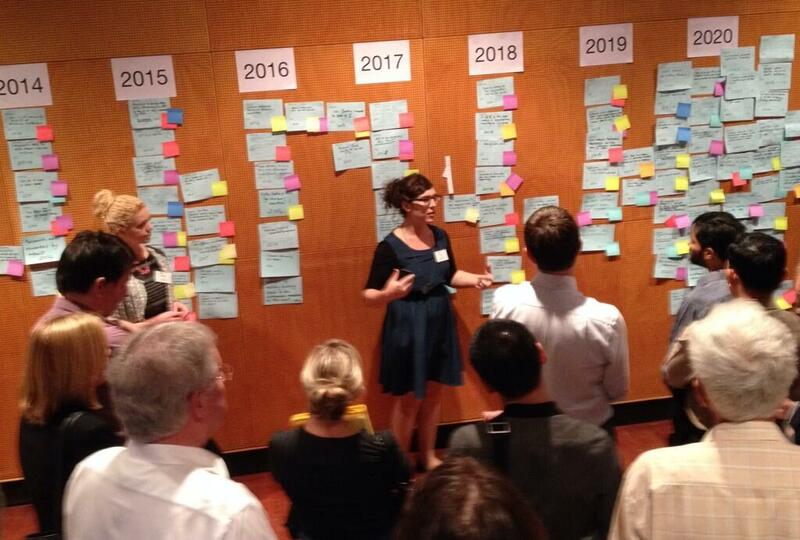 The workshop was part of the two-day CRC for Low Carbon Living Annual Participant Forum in Sydney, with over 110 attendees including researchers, practitioners and policymakers. Bees travel no more than 20 meters for a food source in our cities and suburbs by 2020. Landscape architecture is embedded in our cities to reduce urban water demand by 50% by 2020. Want to read more? Check out the #CRCLCL tweets from the day, and Tim Horton’s piece about the workshop. Hailey Cooperrider at the CRC for Low Carbon Living Annual Participant Forum. Image credit.